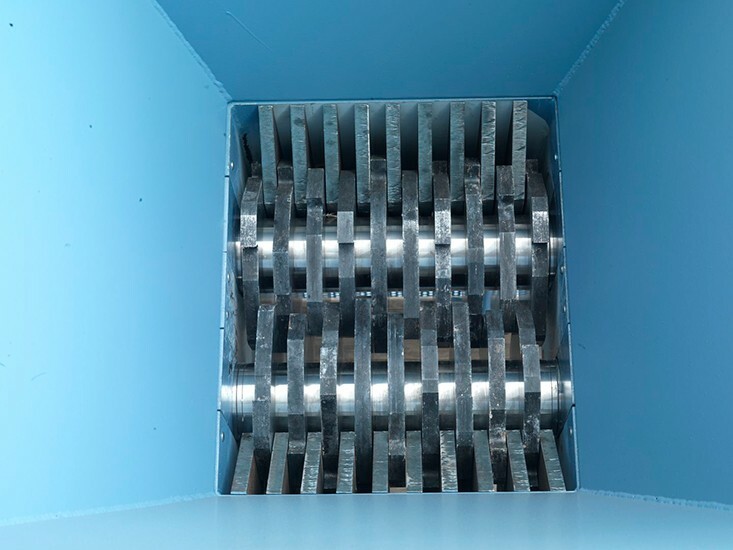 The shredders TB and TBS are ideal for grinding big and thick pieces thanks to a twin-shaft configuration. Due to the lack of a perforated screen, it is possible to treat high streams of material. 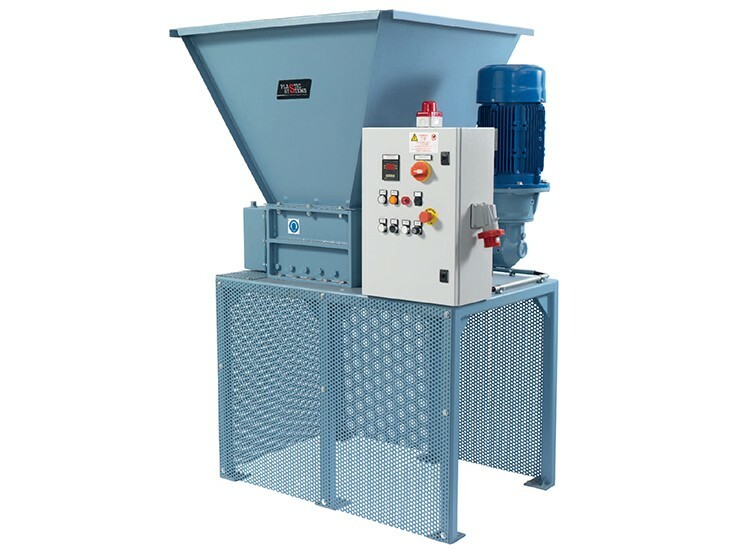 Their special structure and exclusive cutting system contribute to process difficult waste material such as bulky waste that is difficult to treat or grind. The management system with a PLC allows setting various shredding modes according to the type of material. These shredders together with GSC granulators contribute to significant energy savings due to a total power which is inferior compared to a single solution with equal results. • Reversing system controlled by a PLC. • Loading and unloading conveying system. • Protective guards. Effective volumetric reduction due to the double shaft configuration.